Face Halo is so easy to use! All you need water, you can use cold or warm water. Face Halo uses special HaloTech fibers, that reaches deep into your pores and removes your makeup. It’s made in Korea… hello, they have/make the best skin care products! If you have on mascara, waterproof eyeliner, or liquid lipstick all you do is hold the Face Halo to that area for about 10 seconds. I usually leave a little excess water and wipe those areas first. You don’t need to rub or scrub your face, just wipe your makeup off gently. You can still use a cleanser if you like. Face Halo is non-toxic, reusable, and recyclable. What really sold me is that it’s reusable and stated that it removes makeup quickly. Which is so true! You can use Face Halo up to 200 times depending on how well you take care of it. To clean it all you need is a bar soap and throw it in the washer. And the best part is you get a pack of 3 for $22USD. I love using my Face Halo. Before I was using Olay Daily Facial wipes, which I loved those, but I don’t regret switching. I switched for several reasons 1, Face Halo sold me on how it’s reusable and it helped cut down on the waste 2, I wanted to see if they really worked and 3, switching over meant I am able to try more of my skincare products. 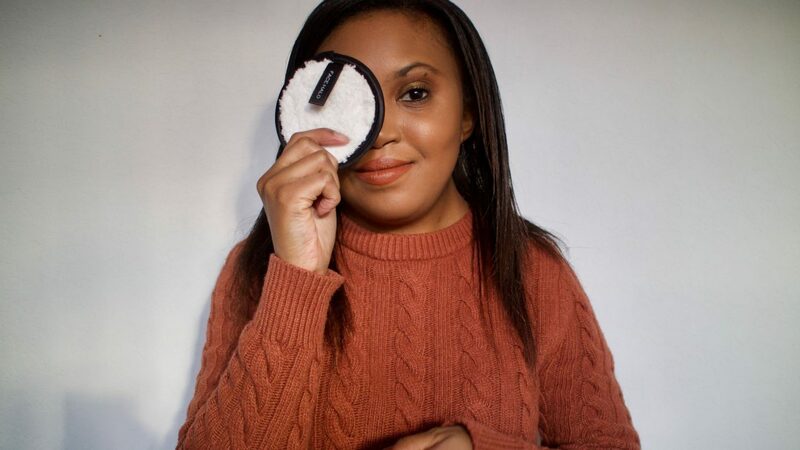 I’ve used Face Halo since July and I love how simple it is to use and to clean my face. Another tip, @serenitybeautyyy on Instagram told me that you can even clean your makeup brushes with them. It works pretty well (especially when you need them in a hurry lol). I have been a huge fan of Korean beauty products for about 3 years now, and my skin is thankful for that. Finding a good facial cleanser is not easy, I will definitely look for this one. Korean beauty products are the best especially face masks. What’s your favorite product? I’m trying new skincare products/routine in March from a Korean brand. I’m really excited to try it! I’m a little to the game. Wow – very intriguing! May need to try this one out! You should! They are very inexpensive! !